The 78th annual Academy Awards have come and gone. The stars have graced the red carpet, what they wore is ready to make front page news (by the way Keira Knightley looked stunning) and some lucky individuals got to take home a small statue of a naked bald man. But more than anything this years Oscars made a statement about the current direction of Hollywood. The best picture category is probably the most accurate gauge. This year it was populated with small budget, intelligent, character driven dramas: Capote, Crash, Brokeback Mountain, Good Night and Good Luck and the lone exception Munich. 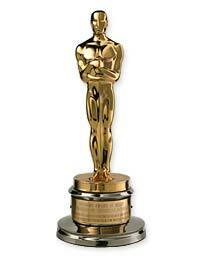 Crash was not only the biggest upset, but of all the movies that were nominated it had the smallest budget. Yet it was bestowed the industries highest honor. Though the majority of films nominated for best picture this year were mostly niche films with small target audiences, it is becoming apparent that moviegoers as a whole are becoming hungry for quality films. So how will Hollywood respond? In the past studio executives have always underestimated their audiences. Now theyare developing independent brands like Focus and Fox Searchlight to develop these heavily targeted products. This is not surprising as Hollywood has been struggling to make successful blockbuster movies that are A) worth $9.50 and B) worth two hours of your life. These films usually lack big stars and spectacular special effects, the two ingredients that usually put audiences in theater seats, but they more than make up for it with the compelling stories and equally believable acting. These nominations show the emerging desires of what moviegoers want. Yet, Hollywood can't completely ignore the blockbuster idea as it is has helped to shape the film industry since the release of movies like Star Wars and Jaws. Therefore a middle ground must be found. As the blockbuster begins to lose its way, and higher quality films are being demanded, studios must look to develop that can appeal to a mass audience while simultaneously being creative and engaging. This new breed of film cannot solely rely on special effects and star power, but must foster creative directors creative visions. I think George Clooney said it best during his acceptance speech: "Maybe Hollywood is out of touch with mainstream America. And maybe that's a good thing"